Jewell Gardens is Alaska’s only glassblowing studio open to the public. 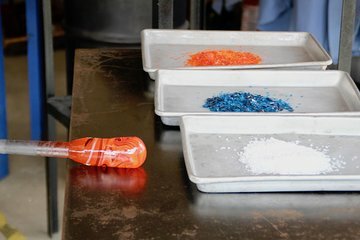 On this fun interactive tour, learn about the ancient art of glassblowing, then get hands-on as you try it for yourself. Under the guidance of an expert, make your very own blown glass ornament in a color and design of your choice —the perfect souvenir of your trip to Alaska.